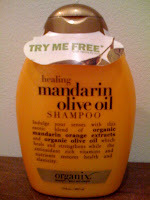 Now through early 2010, get a 13-oz Organix brand shampoo or conditioner, free with mail-in rebate (up to $6.99). One per household. Check for the little tag on the cap; they don't appear on every bottle. Best part? The varieties are yummy: cucumber yogurt, grapefruit mango butter, lavender soymilk, pomegranate green tea, passionfruit guava, mocha espresso, teatree mint, shea butter, coconut milk, mandarin olive oil and vanilla silk. 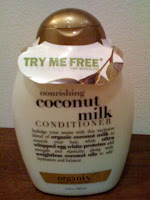 I picked these up at CVS, but the products are distributed to scores of retailers nationally. Go get one. I saw this, and plan on getting some too. Thanks for the heads up! Just a hint from my experience with this company. Keep a copy of your rebate, receipt and note when you mailed it in. I did this rebate as did my daughter in Florida and neither one of us ever received our money back. Unfortunately we did not keep copies of the information. Thanks for the heads up, ND.